Check our ATLAS "Over a Decade." A comprehensive review of our work over the decade. The Applied Technology Laboratory for Advanced Surgery (ATLAS) program aims to identify and bridge the gaps in healthcare systems through comprehensive educational programs and innovations in medical technologies. 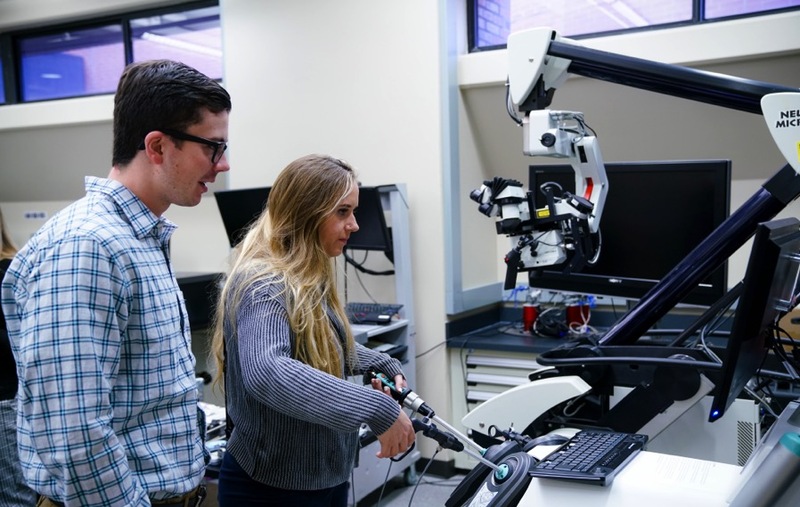 Established in 2007, the ATLAS program at the Roswell Park Comprehensive Cancer Center began as a safety and quality assurance initiative, and has grown into a global training center for robot-assisted surgery. Our dedicated staff has helped many novice surgical teams establish safe robot-assisted surgical programs at their institutions across the globe. Our research program has designed and piloted several groundbreaking inventions. One of which include the Robotic Surgery Simulator (RoSS), as well as, initiatives in artificial intelligence, patient safety, and operating room communications. While training at RPCI, the trainee has priority access to the most state of the art resources, including the RoSS simulator, Hands On Surgical Training (HoST) software, and Mimic DaVinci backpack simulator. The uniqueness of our technological advancements and the organized offering of experiences make the training program we offer here Roswell Park Comprehensive Cancer Center and the Fundamentals of Skills of Robotic Surgery (FSRS) curriculum truly one of a kind. The ATLAS Program is officially a SAGES (Society of American Gastrointestinal and Endoscopic Surgeons) testing center. SAGES developed three fundamental exams: Fundamentals of Laparoscopic Surgery (FLS), Fundamentals of Endoscopic Surgery (FES), and the Fundamental Use of Safe Energy (FUSE). Roswell Park is the only test center New York State offering all three fundamental exams.